The 5th Annual Ciclismo Classico Bike Travel Film Festival invites filmmakers to submit for consideration bicycle travel films ranging from 3 to 60 minutes. 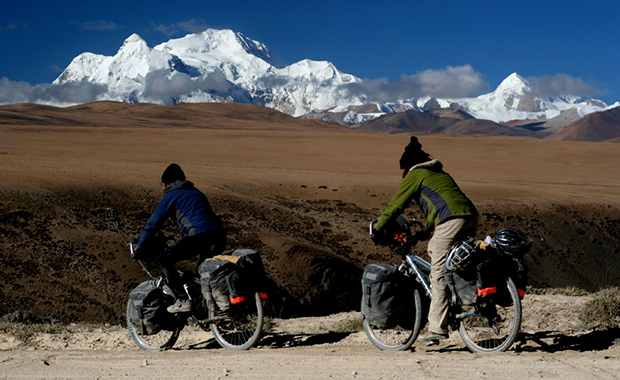 Films should feature bicycle travel of any type: organized tour or informal travel, domestic or international. In 2014, a Grand Jury Prize will be voted on by the Festival Jury of top bicycle, travel, and film festival directors and an additional Audience Prize will be announced. In addition to the Grand Jury prize and the Audience Award, the Bay State prize will be awarded to the best film submitted by a Massachusetts resident. The organizers seek films that portray a broad range of experiences – destinations ranging from small African villages to a campground 30 miles from home; solo travel or a family reunion on bicycles; an organized tour from inn to inn or a shoestring jaunt with tent and sleeping bag. Ciclismo Classico is the only festival in the USA that focuses specifically on bicycle travel. The 5th Annual Ciclismo Classico Bike Travel Film Festival is scheduled for 28 May 2014 at the Regent Theatre, Arlington, Massachusetts. Early-bird submissions – entries submitted by 1 February 2014 – are free! Regular entries cost US $20 per entry.